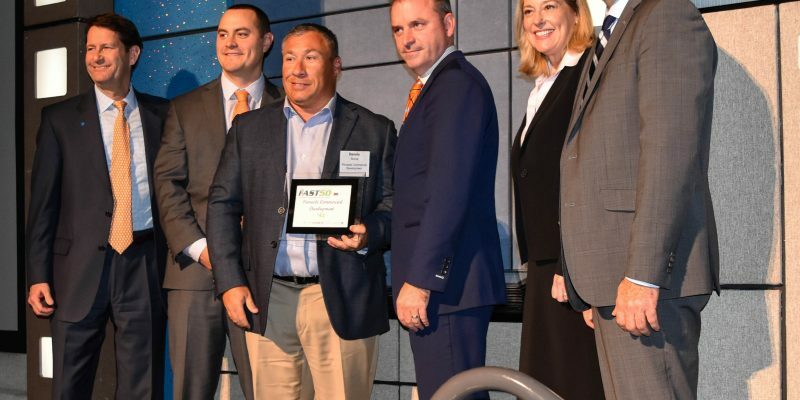 Pinnacle Commercial Development has been named to the prestigious “NJBiz’s Fast 50, Fifty Fastest Growing Companies in New Jersey.” This is the second year in a row that the company was recognized and officially received the designation at an awards ceremony at The Palace, in Somerset, NJ. Employees were on hand to celebrate and Dennis Rome, principal of Pinnacle Commercial Development was on hand to receive the award amidst the event’s sponsors. 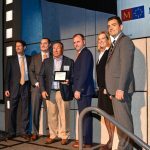 “It is an honor to be recognized for the second consecutive year by NJBiz and its sponsors. We are honored to receive this recognition and use it to spur our growth in the future,” he said. The company has also been selected as a finalist for NJBiz’s for “Outstanding Company.” The winners will be announced at a ceremony on December 3, 2018.